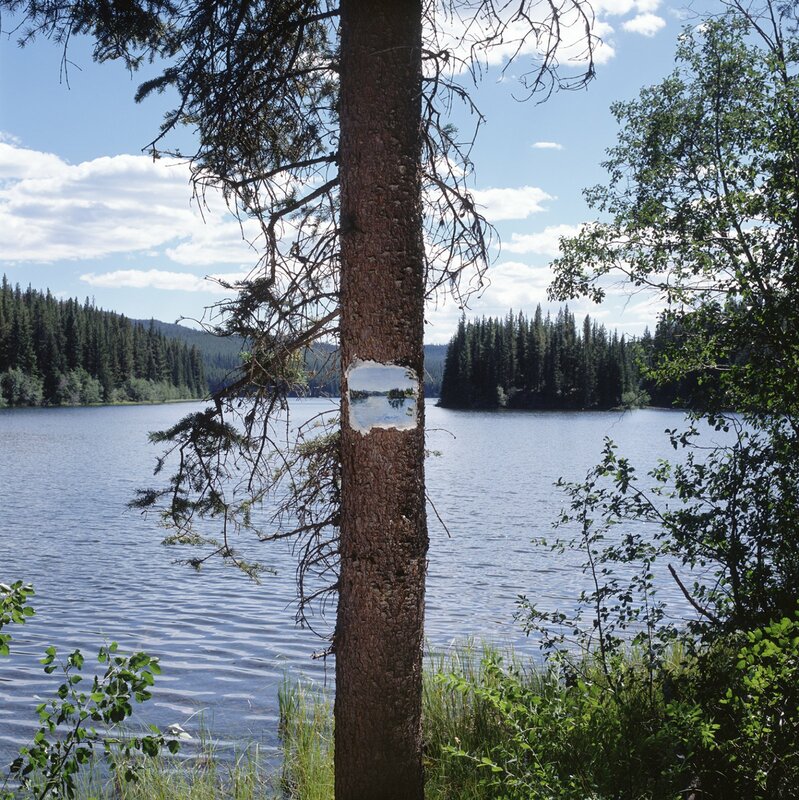 Kevin Schmidt’s photographs and projected-video installations frequently amplify the human experience of nature as an encounter that is imbued with cultural codes but which at times expands beyond our fluency. 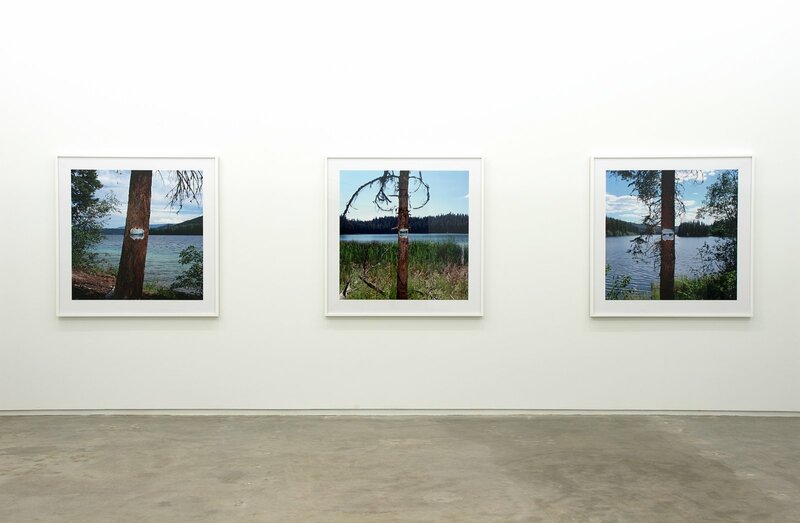 In his past time-based works such as Long Beach Led Zep (2002), Fog (2004) and Burning Bush (2005), Schmidt cues the viewer towards a particular trope of landscape while gradually casting the scene with an obviously fabricated approximation of the sublime. 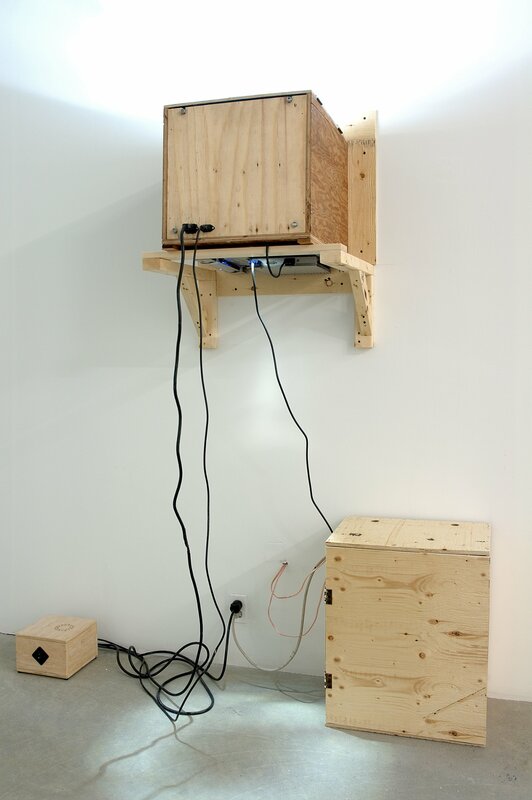 His works very often present an occasion for individual feeling and meditation, and perhaps offer a means to explore the perceptual conditions at play when reality transforms into something beyond words. For his first solo exhibition at Catriona Jeffries, the artist brought together three photographs and a projection installation. 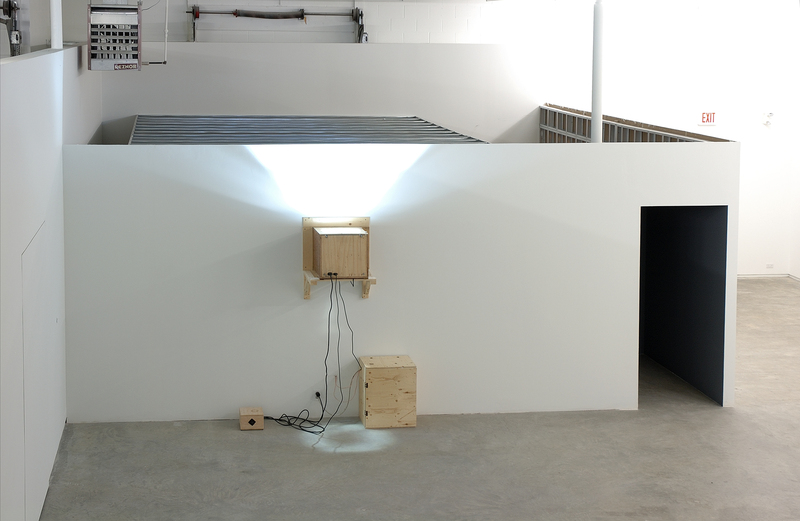 The first work in the show, Sad Wolf, consists of a large, do-it-yourself LCD projector that the artist built inside a wooden box which adjoins the darkened projection room. 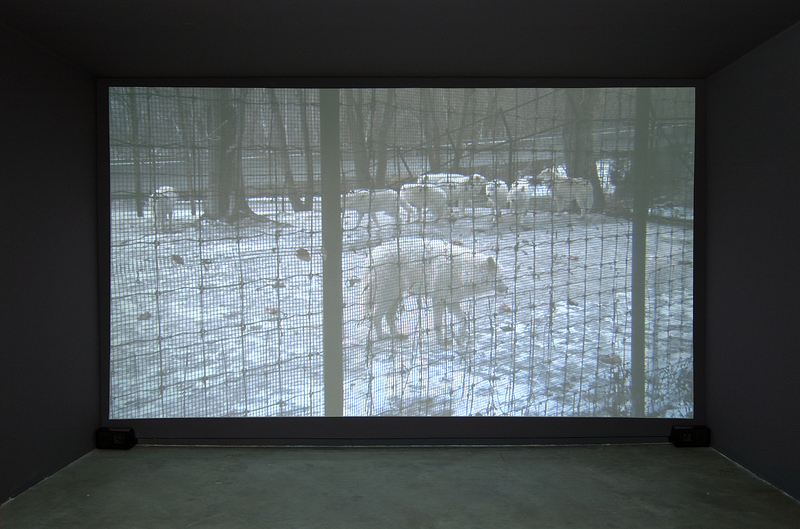 Inside the space, a looped, six-minute digital video portrays an omega wolf living on the periphery of a captive pack in the Metro Toronto Zoo. Interceded indistinctly by the wire grid of the enclosure, the footage follows the wolf’s movements and at the same time clearly discloses the shuffling, moving, breathing presence of his documentarian. In contrast to the romantic symbol of the lone wolf which commonly represents solitude and radical free-spiritedness, the condition of the omega wolf signifies the nadir of pack society: the underdog and scapegoat of the pack. 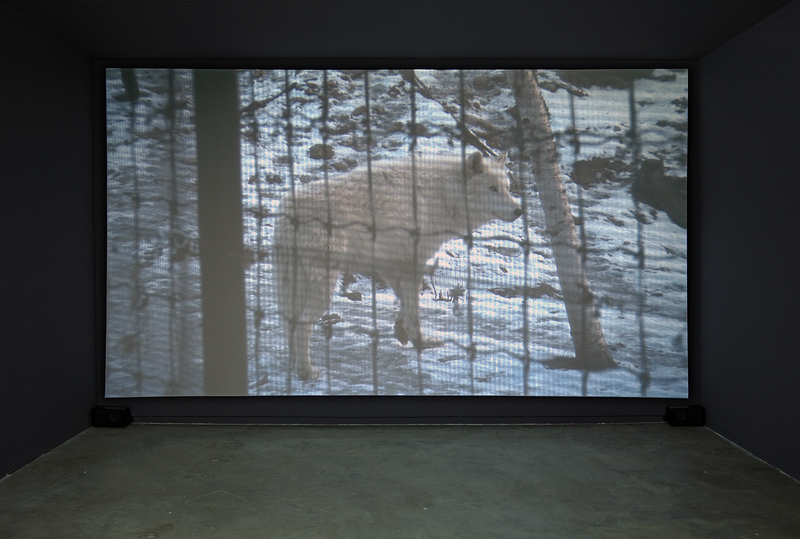 While actively disclosing the mediation of the artist, Sad Wolf positions the viewer between a collectively designated victim and the larger structure of contemporary art. 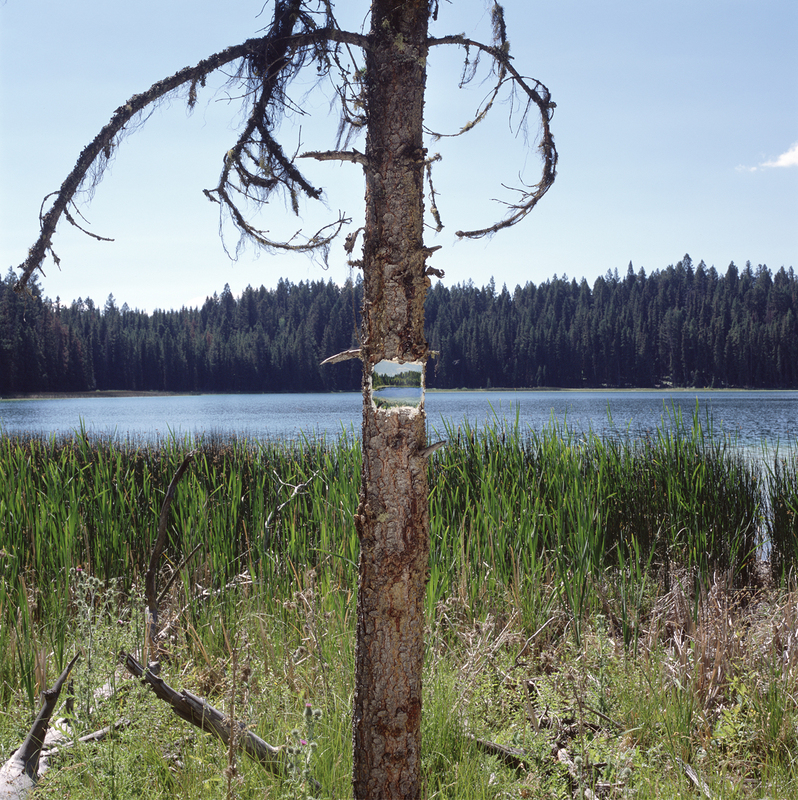 To produce each of his three photographs, entitled Face Lake, Johnson Lake, and Little Blue Lake, Schmidt hiked into the forest on several occasions. For each work, he located a prospective view interposed by a lone tree, which then became marked as a remote lookout post on the landscape through its transformation into a trompe-l'oeil pictorial prop. 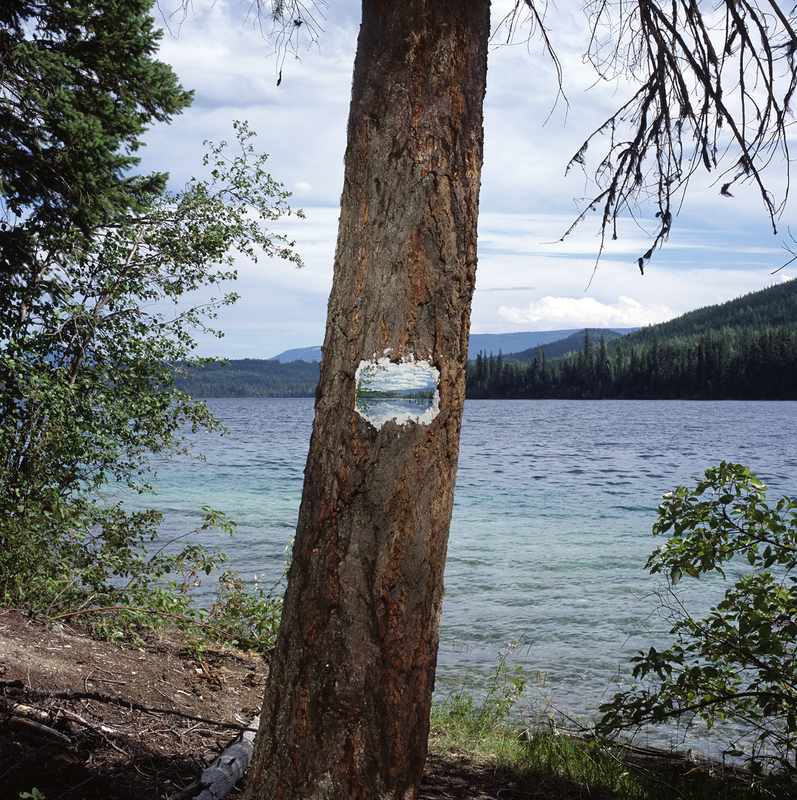 A plaster-like substance was applied to the bark of the tree to produce a smooth surface onto which was painted an image of the scene behind. 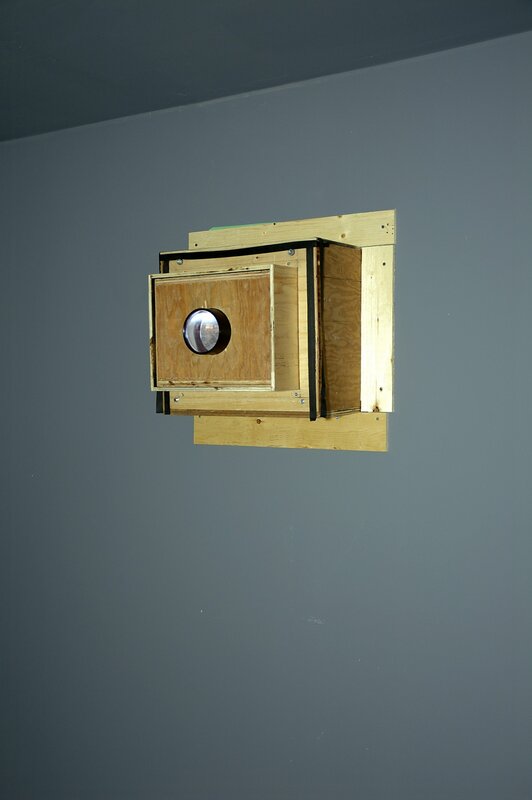 This dual frame of representation both enacts and documents the distance between artist’s standpoint and the doubled view of the landscape that meets the viewer in the gallery.